The New Year is teed up to be a big year for Full Throttle Media. Right off the bat, we are set to shoot a three part instructional for the "In the Spread" project in S. Florida. There should be some clips ready to release by mid-January. We are still in post production on the phase one instructional segment we shot this past fall for the same project. We are just waiting to receive approved photography from the partner. 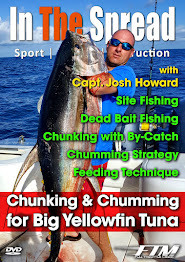 Then, in March, the Full Throttle Media team leaves for Africa to shoot a film for "Sport Fishing Safari" in Kenya. The first quarter is packed with a lot of work, travel and a few amazing adventures. But, this is what our team loves. 2012 is shaping up very nicely. Updates to follow as we get into the year. From all of us at Full Throttle Media, I would like to extend a Merry Christmas and Happy Holiday's to all our friends. Thank you for all your support and dedication. We look forward to seeing many of you in the new year. This year is finishing quite nicely for us and moving into next year there are some big things happening in the first quarter. All the best to you. What is the difference between strategy and tactics? This may seem obvious, but lots of people tend to confuse the two. Strategy focuses on the entire forest and not an individual tree. Tactics focus on individual trees. Strategy is concerned with "what you are doing," while tactics focus on "how you are doing it." Keen observations from Nigam Arora. See the forest, see the trees!